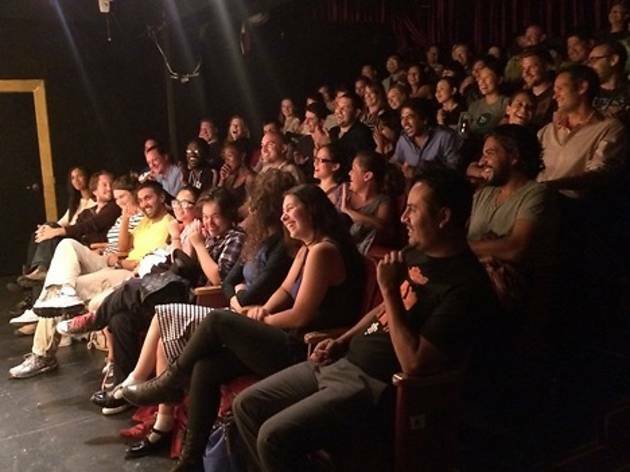 Cheaper Than Therapy serves up an intimate evening of stand up comedy with no drink minimum. 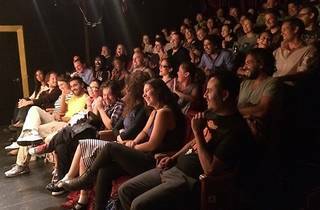 Every Thursday, Friday and Saturday from 10pm to 11:30pm, a group of comics take to the stage at the Shelton Theater in Union Square to provide show-goers with some healthy laughs. Cheaper Than Therapy is produced by Scott Simpson, Eloisa Bravo and Jon Allen, who are all seasoned comedians in their own right and perform each night. The doors and bar open at 9pm, and after the show everyone is invited to an after-party at Chelsea Place, the local dive bar around the corner from the theater.